June | 2014 | Vikings, Books, etc. My idea here was to show a typical Scandinavian midsummer scene with the maypole (midsommarstång or majstång in Swedish, though I believe the “maj” in the latter doesn’t refer to the month “May”) up and people milling around, while in the foreground some of the Æsir and Vanir chill out under Yggdrasill, both viewing the human scene and constituting a mythic prototype for that scene. In particular I thought it would be fun to try to visualize the connection between mundane world and mythic world in a way I hadn’t seen before, with the connection between the two worlds fairly ambiguous here, but still clearly there with the roots of the world tree running through the human world like tree roots through an ant hill. I didn’t decide absolutely on what the roster of gods would be here, but going from right to left, I think maybe we’ve got Loki, Thor, Freyja (or Sif, originally I made her hair much more golden), and Freyr. But I’m open to other interpretations. Karl’s blog is a great resource on Norse myth, in particular its reception among contemporary heathen practitioners, an area that tends to be overlooked in academia (well, not as much any more) despite being a pretty interesting phenomenon (and one in which the practitioners can actually tell us what it all means to them–my position is more like that of Snorri, or JRRT, a Christian writing with fascination in a pagan past but not participating). Karl also has a lot of great celebrity connections when it comes to the contemporary world of Norse-themed culture, as witnessed by the judges he gets for these contests, so his blog is definitely one to follow, whether you’re interested in Viking Metal or Marvel comics! 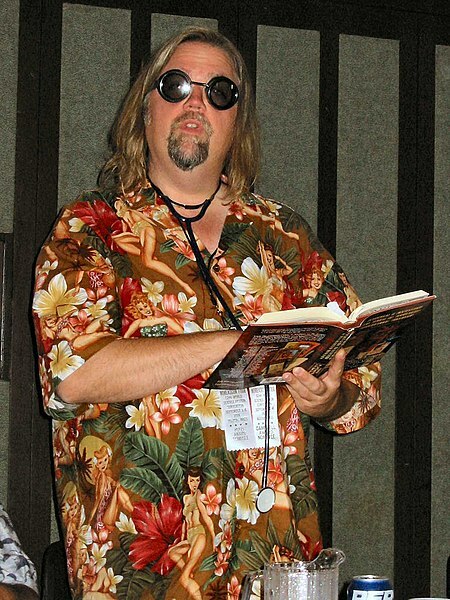 I’m pretty sad after hearing that author Jay Lake passed away today. John Scalzi has a lovely tribute to him on his blog. Today is my birthday, making this a rather unhappy coincidence, and it has me thinking about… stuff. ‘N stuff. 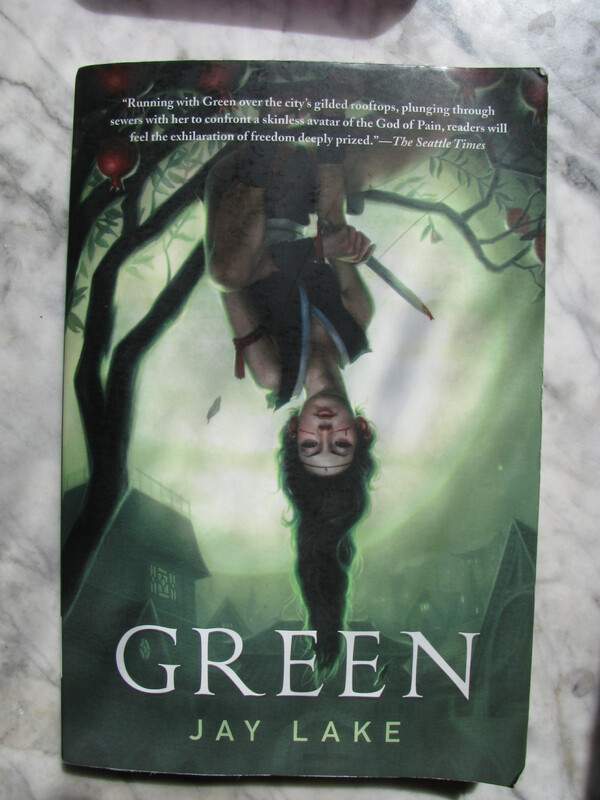 I actually have only known about Jay for a little while, after running across his novel Green. Since green is my favorite color, and since the book seemed to have a kickass, realistically and thoroughly developed girl protagonist, and since I have nieces and want them to understand that they get to be kickass realistic protagonists as much as Luke Skywalker and anyone else, I decided to check it out [later edit: please note, now that I’ve finished it, and however much I’ve enjoyed it, this is not a kids book–not pornographic, but definitely lots of adult content. And I have to say, I found this review a pretty legit critique of how this is handled in the book, even if i liked the overall work better than the reviewer]. Reading it actually got put on hold for a while as I pretty much always have more novels going than I really have time to read, but I’m a good way through it now and really enjoying it. I heard about Jay’s colon cancer not long after learning that he actually existed and no, I never got to meet him personally, so I can’t claim to be particularly emotionally attached to Jay the person–but I’ve been really impressed by his courage in facing his mortality so publicly, and it’s been great to see the tributes come in now that he is gone–in addition to being a damn good writer (going by what I’ve seen so far), he seems to have been a pretty swell person too. I am also encouraged by the fact that he accomplished so much in a career that only began in 2001–when he would have been just a year older than I am now. I’ve been writing since 3rd grade, but with grad school and then a nascent academic career (which may be ending or may be getting a second wind, I honestly don’t know) I’ve only managed to get a few poems and one retelling of a folktale out since 2001 (2001 was when the retelling of a folktale was published in now-defunct Fables ezine). On the one hand I’m feeling inspired by how much Jay accomplished (9 novels and over 300 short stories since 2001, while working full time… holy poop)–on the other I’m reminded that none of us knows when we will go, and I want to leave a positive legacy behind me. Looking forward to discovering more of Jay’s work and celebrating the fact that he lives on in his creative legacy, as well as in the hearts and lives of those who knew him (not me, in case that was clear…), and looking forward to finding ways to make the world a richer place for my part.